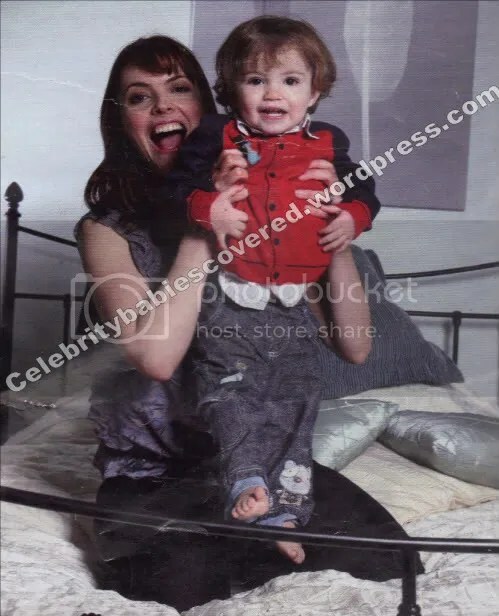 Actress Kate Ford, who will soon be reprising her role as Coronation Street‘s fiesty Tracy Barlow in March, features in Hello! 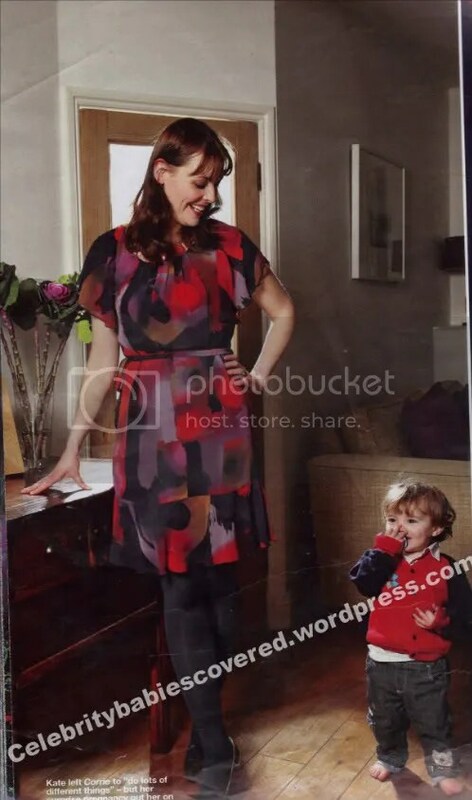 Magazine and talks about life with husband Jon Connerty and their son Otis James Roger, 19 months. Kate: I left Coronation Street to do lots of different things, then within a few months of leaving, I found out I was pregnant so my life went in to a completely different direction. Because it just kind of happened, I’d never really thought too much about how it would be to have a child. But I could never have imagined it would be so rewarding. You can get so self obsessed when it’s all about you and, and I was probably a bit guilty of that. It has been really good for me to have different priorities. K: At first I was frightened by how strongly I felt about him. Soon after he was born, I went for his check-up at hospital and we were a bit late. I rushed in ahead and Jon said he’d bring him in from the car. I was terrified because I thought: ‘No, you can’t bring him from the car without me, I have to watch you.’ That terrified me. I knew it was rediculous, he was with his dad, but it scared me how I loved him so much that I wanted to be with him all the time. I’m better now he’s older. K: It’s amazing how much joy Otis has brought to my life. I will start crying if I talk about it. I think some women are natural mothers. I can’t say that applies to me and I quite surprised myself with Otis. But I think it’s different when it is your own child. Of course, I think he’s really special…but look at him, he is, isn’t he! Jon: It’s brilliant. Otis is a little star with a pretty silly sense of humour so we get on well. K: It would be unfair to take Otis away from what he knows here [in London] and put him in to a different nursery. I would have to move our world. I know I’ll miss him like hell, but I’ll be on that train even if it’s midnight. K: He makes every experience better. We are closer because he has enriched our relationship. I thought the other day, what would we do without him? We’d be so bored without Otis in our lives. K: [We would like more children] but it is hard work, particularly if you’re people who like to sleep. J: Once Otis realises that 5:30am is only a time for milkmen to get up, that will be better. 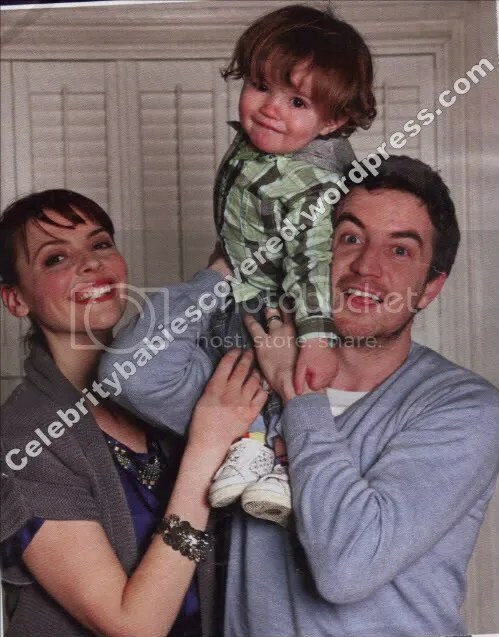 This entry was posted in Dad and Baby Photos, Interviews, Magazine Shoots, Mum and Baby Photos, News. Bookmark the permalink.